I am on a Chardonnay kick. Wait. Let me edit that. I am on a QUALITY Chardonnay kick. As in, recently, I threw out 3 bottles of Chardonnay after the first sip because they are still adhering to the old-new world expression: over-oaked, buttery spread. But trends are changing: everything that’s old is new again and that goes for the “Chablis-style” Chardonnay. I recently attended a panel discussion of winemakers making wine in this style (please read The Chardonnay Style Spectrum) and I am so pleased that the industry is headed this direction. And much of this is headed by the Oregon wine industry. Chardonnay may be the most widely planted white wine grape in California, but it is creeping up the Oregon ladder (currently still behind Pinot Gris) — and these guys are doing it right. Case and point: Panther Creek Cellars. I came across Panther Creek when working on an article about their new Woodinville, Washington tasting room. Indeed, the Oregon-based winery with their Willamette fruit felt the need to spread the Pinot love to the cool kids in Washington who, basically, have none. Unable to visit Oregon or Washington at the moment, the Panther Creek team was kind enough to send me a few samples. Last week I featured their estate Pinot Gris — a beautiful example of how the grape variety is making major headway in the Pacific Northwest. 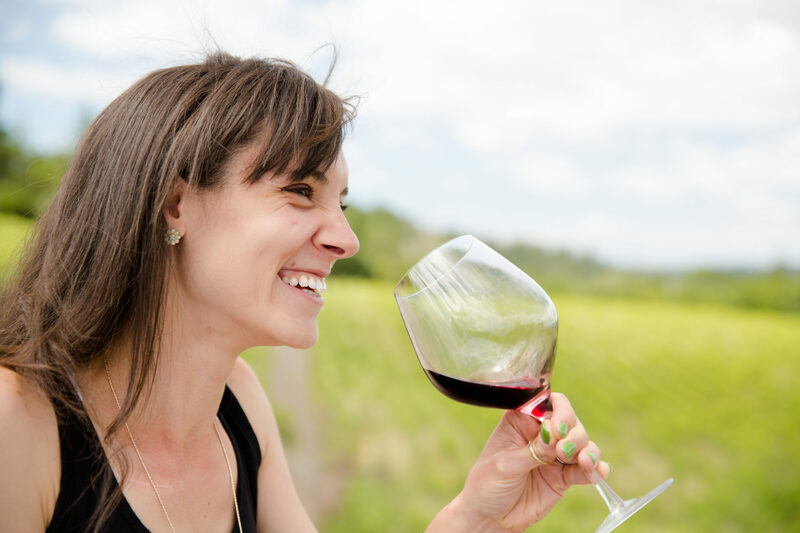 But let’s face it, when making, tasting, or talking wine from the Willamette, it’s all about the Pinot Noir. You can read my full article, Oregon Wine, Washington Tasting Room: Panther Creek boosts business, bringing Willamette Valley Wine to Woodinville, Wash.